When you have a waste disposal need a roll off is a good option. When you rent from us you will be provided with great customer service. First time renting a bin? No worries. Our team is ready to walk you through the rental process. We have done the research to match each customer with the best size for unique jobs. Discount Dumpster services Naperville and surrounding Chicago cities. We work with residential and commercial customers across the state. The rental process is easy when you rent with Discount Dumpster. Pick up the phone and you will be in touch with a customer service representative. 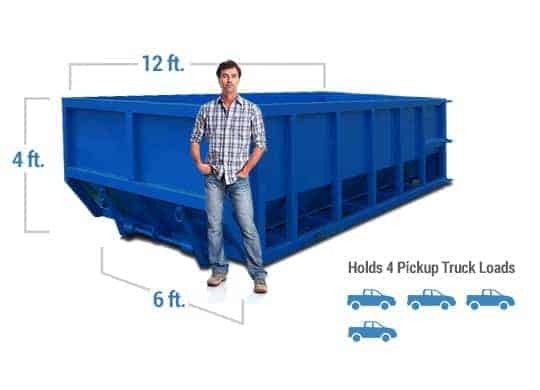 We offer an array of sizes from 10 cubic yards up to 40 cubic yards. That means that no project is too small or too big for a roll off container. When you need help with waste disposal rent from a company that cares. Call today for an instant quote. Ideal for cleaning out the garage or attic. The 10 yard is a small size that will fit in most places easily. Dispose of small amounts of household or construction debris is one place. Dispose of larger amounts of household junk and waste disposal. Useful for smaller scale demolition and a great size fro roofing and remodeling projects. Good size for a full home remodel or major rooms like a kitchen or bathroom. Will easily accommodate construction and demo debris. Convenient size for clean outs that are larger. The largest can in our fleet. Great for building renovations and allow for several tons of debris at once. Good for contractors with large-scale jobs and projects. We work to keep every customers expenses to a minimum. When you reach out our team will provide you with a competitive quote and walk you through what the rental process looks like. Whether you are clearing out a basement or excited about a new home construction, we will be there for you. 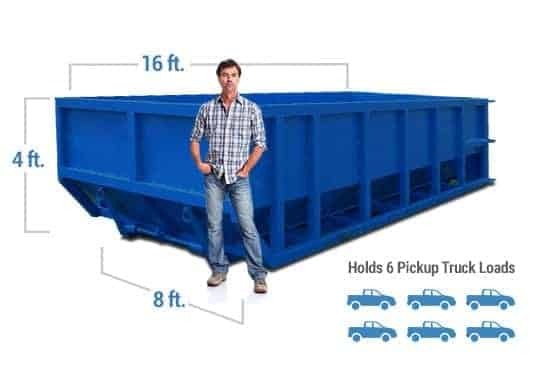 Serving customers big and small Discount Dumpster provides great service to everyone. Call today to schedule an affordable dumpster rental in Naperville. Do you need a permit for your dumpster rental in Naperville? If you are placing a roll off in the street there is a chance you may need a permit. Do not worry though because we have done the research for you. Visit the city of Naperville’s planning website to view areas that may require a dumpster permit. Once you complete the steps outlined you will be granted a right of way permit. What type of material is not allowed to be thrown into a dumpster? Regulations prohibit a multitude of material that is unable to be dropped at a dump. Naperville does not allowed the disposal of electronics including but not limited to computers or televisions. For a full list of materials that are not able to be placed in a dumpster visit our prohibited items list.